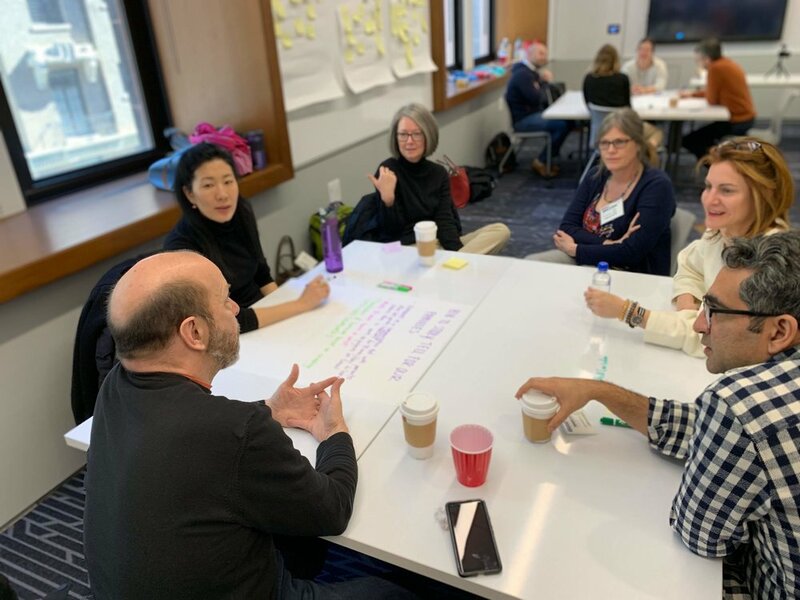 We’re proud to be a founding member of a new consortium of 10 like-minded innovative schools from around the country, called the “Innovative Schools Cooperative.” Recently, the founders from these schools gathered in NYC for our inaugural two-day summit. Day One, we hosted the group at Portfolio School, and then we were all up at Klingenstein Center at Columbia’s Teachers College for Day Two. 5 Dangerous Things Every School Should Do: Gever Tully, founder of Brightworks, adapted his popular TED talk and presented the “5 dangerous things every school should do.” Number 1 on his list? “Trust Children.” Yes! But our similarities far outweigh our differences. And our hope is that in coming together, we can collect our individual voices and form a movement, creating a shared vision and thus enabling a bigger impact. It was inspiring to share ideas with all of these change-makers. Here’s to a bright future!